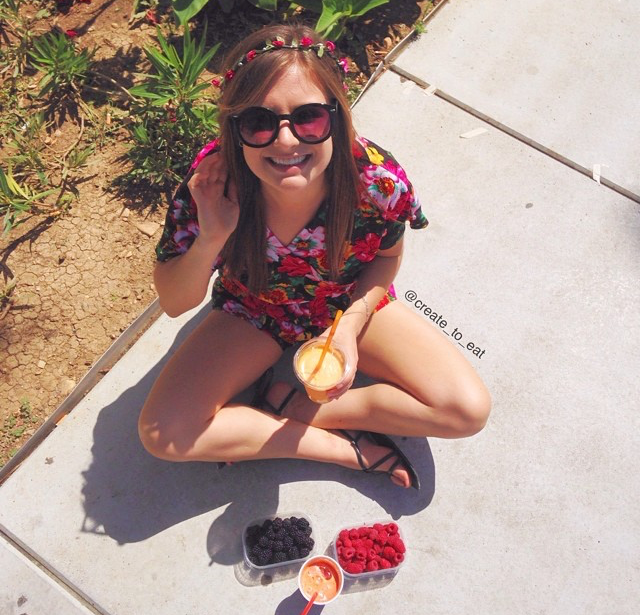 At the moment i'm in love with a) this girl Andy's instagram account @eatwithandy and b) floral headbands such as Andy's in the picture above. Since i am going to go to the Reggae Jam Festival next month, i am determined to make my own floral headband and be like a true flower festival girl :) I bought some artificial magenta flowers already, but now i have to figure out how to tie or glue them together (onto an elastic band? which colour?! ), and then actually MAKE it. If you are interested in that sort of thing, i've actually put together a collage of 46 Ways to Wear Flower Hairbands for inspiration last year! Another major change in my life has been the fact that one of my beloved flatmates accidently burnt down our kitchen, meaning that we don't have access to an oven or any of our kitchen tools in quite a spell. Due to that very uncomfortable incident (but luckily my flatmate is getting better, and nobody else got hurt! 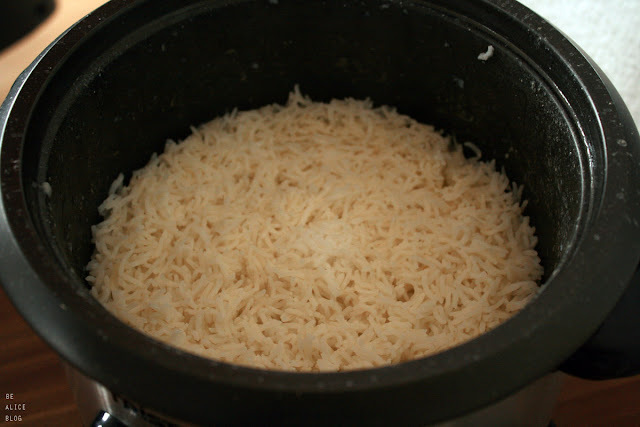 ), we borrowed a fancy rice cooker, which apparently cost quite a lot, but is really worth its price! The best thing about it is that you can just leave the room, and the rice cooker will switch off immediately as soon as the rice is ready. 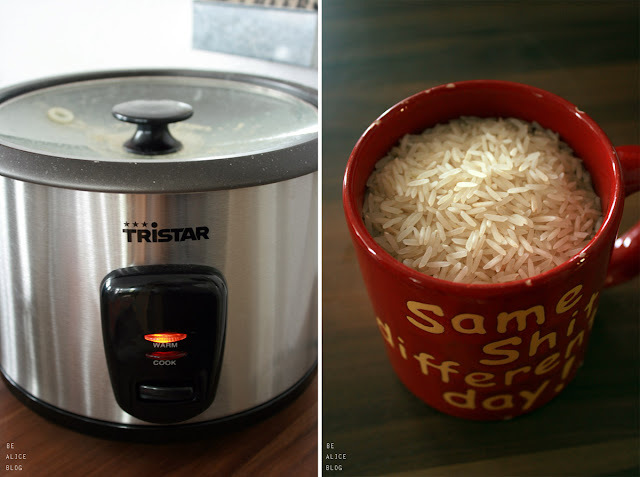 The rice/water ratio is - different than when you cook it regularly - 1 unit (such as cup) of water + 1 unit (cup) of rice. Flip the "cook" switch, and just wait until it switches back to "warm" mode. Then your rice is done, and nice and fluffy! I love to use basmati rice, the taste and consistency is simply the best if you ask me, but it obviously works with any type of rice. A neat option is to add chopped vegetables (such as zucchini or sweet potato, or apple if you want to eat it sweet) to the rice water mix, and cook it along with the rice! So handy. 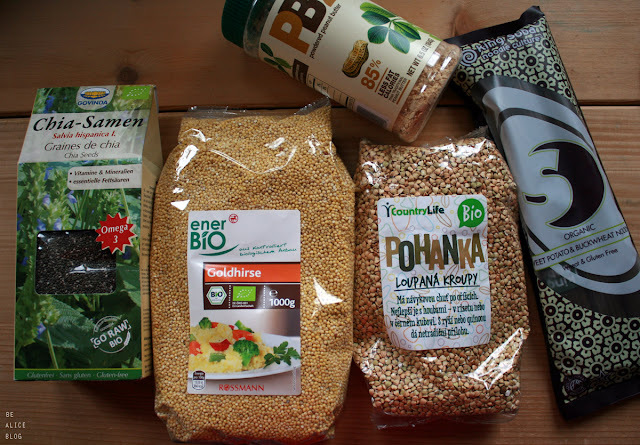 Due to my sudden "food revolution" i've restocked my kitchen shelves with a little food haul. 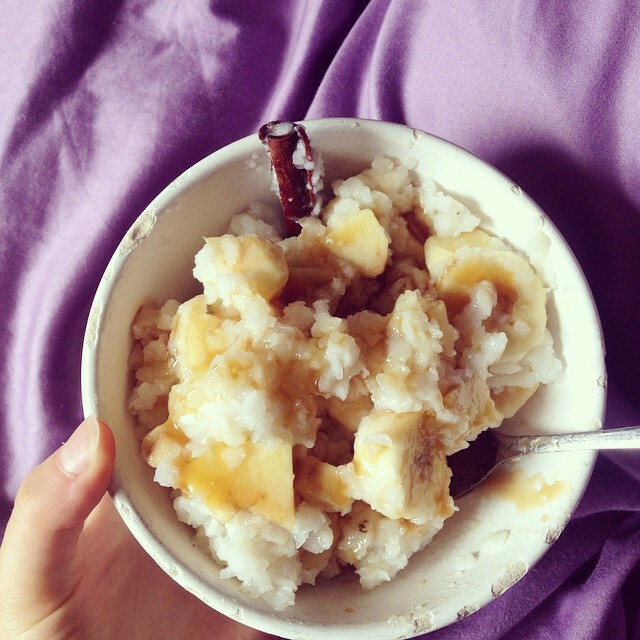 I intend to eat ripe fruits and warm porridge (maybe zoats?) for breakfast, and lots of vegetables, sweet potatoes, potatoes, and also grains like rice and millet for lunch and dinner. So i've provided myself with a big bag of organic millet as well as organic buckwheat (for making my beloved raw desserts every now and then... it's the package left to the noodles), organic chia seeds for some good Omega-3 fatty acids, PB2 (love that as a sauce served with rice and/or veggies!) and the coolest thing ever: Gluten-free organic Sweet Potato & Buckwheat Noodles (that i found in Prague)! The Tibetan doctor specifically recommended millet due to it's high mineral content. So i'm gonna be a good girl and do what the nice doctor says... sigh. If you're interested in reading some more about PB2, the powdered peanut butter, i've actually gone a bit more into detail about it in my May Essentials /15 ! 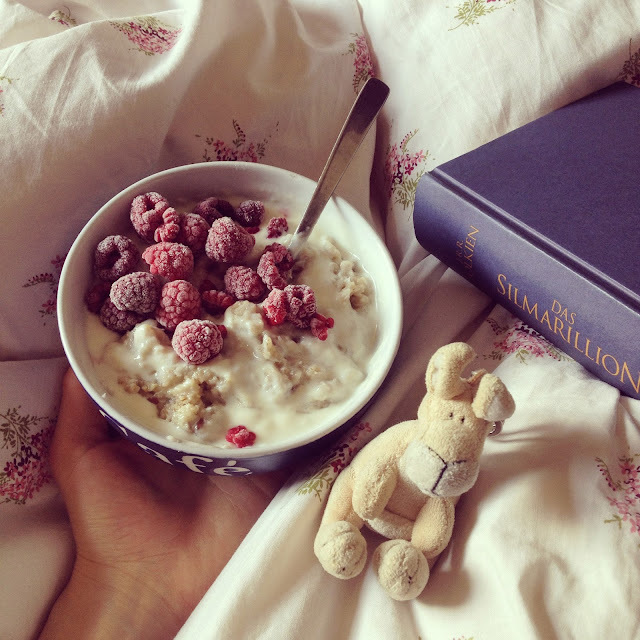 A good book + a good breakfast + a good buddy = a good day! If you're interested in a good porridge recipe for the bestest, most soft and fluffy vegan oatmeal, i've actually got a post on that here! With a super cool ice cream recipe :) Because YES of course i'm still gonna have my beloved nicecream every now and then, just not as a regular breakfast every morning.